Today I want to talk a little about the new Urgent Care Networks that will pull the urgent care community together and meet this challenge. After Sir Bruce Keogh’s announcement about the findings of the emergency care review in November last year, we began putting in place a series of proposals and recommendations for the networks that will be the cornerstone of change. To organise the new system-wide transformation, two types of network are being developed, strategic and operational, with differing but complimentary functions. Strategic Urgent Care Networks will be relatively large and will commission and coordinate urgent and emergency care services across a wide geographical area. They will have a set of clear objectives (to be fully outlined in the coming months) bringing together all relevant stakeholders to plan, assure and monitor network performance. Certain standards will be set as a baseline for these networks, and we will expect them to begin designation in 2015/16. Several operational networks will exist within one strategic network, and will facilitate clinical interactions on a more local level, bridging the gaps between primary and secondary care. What we are talking about here are communities of clinicians who are working together to get the best outcomes for patients, and ensure services are provided in the most appropriate and effective way. Under the newly proposed system, Strategic Urgent Care Networks will designate two types of emergency receiving hospital: Emergency Centres and Major (or Specialist) Emergency Centres. Emergency Centres will assess and initiate treatment for all patients (meaning both adults and children with physical and/or mental health needs) and safely transfer them when necessary. Major, or Specialist, Emergency Centres will tend to be larger units, capable of assessing and initiating treatment as well as providing a range of complimentary highly specialist services. We anticipate that there will be around 40-70 Major or Specialist Emergency Centres across the country and the number of Emergency Centres – including Major Emergency Centres – carrying the red and white sign will be broadly equal to the current number of hospitals with A&E departments. However, this distinction between Centres isn’t one that will be apparent to the public, and they won’t need to worry about the difference when they are accessing care. Emergency Centres and Major Emergency Centres will be visually the same, and all will have their own A&E Department; the important point is that they all provide a consistent, high-quality service and through the efficient functioning of the network, will ensure that every patient accesses the care they need in a timely way. And for those people who need urgent care, but not necessarily in an emergency, we want to make the system much clearer. Currently, services are inconsistent and patients can be unsure where and how to access the right care. Urgent Care Centres will bridge this gap. They will encompass all existing urgent care facilities which are not Emergency Departments such as Walk-in Centres, Minor Injuries Units and “Darzi” Centres. There will be clear standards for all Urgent Care Centres, for example in relation to opening hours and staffing, and an expectation that they will work within the Urgent Care Network to broaden their role in providing timely access to services, which is something everyone will welcome. And all Emergency Departments should have a co-located Urgent Care Centre, wherever possible. This will create a much clearer, consistent offer to the public. Part of the remit of Urgent Care Centres will be to ensure that smaller, more rural and remote communities have local high quality facilities. Stand-alone urgent care centres will be more common and important in remote and rural communities, and our aim is to strengthen the urgent care provision there. We are engineering a huge change for the NHS and to make it work we need our workforce to understand it, and work alongside us to deliver it. Much of this operational work will soon be in the hands of the new Networks, and we look forward to being ready to disseminate this challenge. While it is absolutely imperative that we change urgent care in secondary settings, primary care evolution is also crucial. GPs will play a pivotal role in the new system, and significant changes in this area must precede an overhaul in secondary care. If the provision of primary and community services is not addressed, secondary care transformation will never realise its true potential. We are working now with GPs on this. For example, the Prime Minister’s Challenge Fund launched last month, with pilot schemes funded across the country to look at new ways of innovative working. In the coming months more information in these blogs will detail the work of the Urgent and Emergency Care Delivery Group’s eight work streams, and provide updates on the formation and progress of the networks. 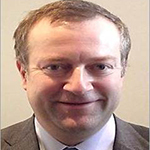 Professor Jonathan Benger is National Clinical Director for Urgent Care for NHS England. Jonathan is the Director of the Academic Department of Emergency Care at the University of the West of England, Bristol and a Consultant in Emergency Medicine at University Hospitals Bristol NHS Foundation Trust. He also has extensive experience of pre-hospital care, having previously contributed to the establishment of a pre-hospital critical care team for Great Western Ambulance, and does regular clinical work in both the Emergency Department and ambulance service. Jonathan has led or collaborated on 28 grant-funded research projects with a total value in excess of £8million, and has authored more than 100 peer-reviewed publications. His main research interests are the evaluation of new technologies and techniques, service configuration and workforce, emergency airway management, resuscitation and pre-hospital care. Until May 2013, Jonathan chaired the Clinical Effectiveness Committee of the College of Emergency Medicine, and served on the Council and Executive of the College. He has been closely involved with guideline and policy development in the UK, alongside international initiatives to define and improve the quality and safety of emergency care. Should other urgent ‘ unscheduled ‘ access services come under the ‘ Urgent Care Centre ‘ designation? Examples include Paramedic Mobile Treatment Units, Hospital at Home Teams, Emergency Multidisciplinary Units, First Aid Centres, Minor Injury and Illness Units ( MIIUs ) etc. The variety of different names confuses the public. Should all Emergency Centres have co-located Urgent Care Centres and the GP OOH service? Should UCC and OOH services be fully integrated and combined? What is truly astounding about this article is that there is not a single mention of Clinical Commissioning Groups, Health and Wellbeing Boards etc. All that striggle, heartache, commitment to getting a new model going is for the birds. Democracy? Parliament? Local Government? Wise up folks, NHS England care for none of ’em. After just a year of operation localism is to be dumped as far as Urgent Care is concerned. Large networks will be telling everyone what to commission on the Henry Ford principle that you can have any colour you want as long as it’s black! Do you think you could explain these concepts pictorially or in some sort of flow chart? How many Urgent Care Centres will there be and where will they be located? Unless they are situated centrally in remote and rural areas, they will not have value. We are currently working on a diagram that will show the structure and governance of urgent care networks, alongside a concise lay description for patients and the public. We are also developing a detailed interactive tool that will help commissioners to understand and plan their urgent and emergency care service, taking into account local geographies, facilities and demand. For the most part, Urgent Care Centres will be developed from existing facilities, but it may be reasonable to commission new Urgent Care Centres if these do not already exist in remote and rural locations. I hope this is useful. Please let me know if I can be of any further assistance. I’m reading a lot of Strategic and Network stuff and “creating an offer for the public”. I’ve no idea whether it will be better or worse than the current model, but what is the same is that it the supply driven thinking. Nowhere here do we read about starting from demand. This is not word play. This is fundamental. Starting from the patient’s view, in terms of demand, could lead to quite different ends, much better service at lower cost. It’s not too late, but it soon will be. Prof Benger’s ideas are predicated on the notion of institutional care, and although they may help beleagured A&E Units, will only reinforce the notion that the NHS starts at the hospital’s front door. If we are serious about the notion of ‘joined up’ care, of treating people rather than illnesses, and of keeping care closer to home, then the subliminal messages need to be managed as well as the explicit ones: the NHS starts and is co-ordinated at the practice, with the hospital backing up where its economies of scale are required. The longer we keep giving the public the wrong message, the harder it will be to establish the model we really need. There is no mention about how you propose to engage with patients and the public on these changes. What are the plans for public engagement especially in view of your statutory duty in this regard?